If your organization needs to hire asbestos temporary staff, you can find first-rate candidates for your asbestos abatement project by contacting Asbestos Masters, the foremost staffing and recruiting agency in the asbestos abatement field. When you choose Asbestos Masters as your training and staffing partner, we go to work to find and/or train candidates who meet your job specification. As recruiters, we use our knowledge of the asbestos industry to locate the top talent for your job opening. As asbestos trainers, we prepare our workers to be highly skilled at setting up asbestos containments, removing hazardous materials, and protecting themselves from work place hazards. 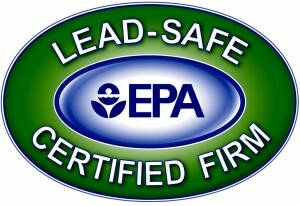 With over 13 years of asbestos, lead, and mold removal experience, we know exactly what type of workers you need. More importantly, we have the certifications to train an unlimited amount of workers, supervisors, building inspectors, and project designers. WE ARE ALWAYS LOOKING FOR QUALIFIED AND CERTIFIED ASBESTOS AND HAZARDOUS WASTE WORKERS AND SUPERVISORS. 1. WE PROVIDE ASBESTOS TRAINING, OSHA 10 OR 30, 40 HOUR HAZWOPER, AND RESPIRATOR TRAINING FOR FREE TO OUR EMPLOYEES. 2. WE PROVIDE RESPIRATORS, BOOTS, SAFETY VEST, EYE PROTECTION, HEARING PROTECTION, AND MUCH MORE. 3. EMPLOYEES WILL ALWAYS GET PAID ON TIME. 4. PER DIEM FOR EMPLOYEES THAT HAVE TO TRAVEL LONG DISTANCES FROM THE HOME OFFICE. 5. FREE ANNUAL MEDICAL EXAMS.